The key to a successful weight loss is determination. 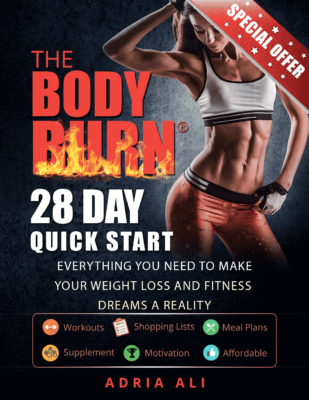 If you are determined to do what is right and not just rely on fat burning pills and weight loss supplements then I can assure you that you’ll easily slip into your old pair of jeans. However, losing weight the healthy way necessitates that you make wise decisions when it comes to your diet and exercise. Choosing foods for your diet can be tricky and challenging because you cannot visualize the number of calories each contains unless indicated on the label. And most of us do not have enough time to do calorie calculations and apart from that we usually eat whatever is laid on the table and whatever is convenient and readily available for us. To make it easier for you I managed to extract these super foods that promise to make you shed the weight. All you need to do write these foods down and include them on your grocery list. Curb your cravings by indulging in a low-calorie salad. This big bowl of goodness (without the dressing) will make you feel full after you wipe your dish clean and thus lessening your chances of diving into a fat-loaded cheeseburger. A study done at Penn State University can attest to this as they offered forty women bowls of calorie controlled salads. All of them consumed less than 12% of pasta after the salad even though they weren’t restricted to any of it and were given the chance to eat as much as they wanted. People who consumed salads once a day had higher levels of folic acid, lycopene, carotenoids and vitamin C and E than those who did not. You can have your eggs however you want it and still lose weight. Whether it’s a sunny side up, scrambled or poached you’ll get your fair share of protein that will help keep you full for a long time. Research also suggests that protein prevents the blood sugar spikes which lead to cravings. Without the cravings you can gain more control over your appetite. The slimming effects of tea cannot be found in its caffeine content but rather in the catechins that boost the body’s metabolism. A study done on thirty five Japanese men showed a drop in their BMI or Body Mass Index after drinking a bottle of oolong tea combined with green tea catechins. Have a tea party and invite your friends over. You’ll not only enjoy the camaraderie; you’ll also get to reap its fat burning benefits. A bowl of cereal to jumpstart your morning will not only keep you energized, it will also make you slimmer! Research shows that individuals who don’t skimp on breakfast have healthier hearts, are less likely to get stressed and lose more weight than those who do. Cereals are high in fiber and have a low glycemic index and it helps curb your appetite making you not want to get a mid-morning snack. Make every trip to the grocery store worthwhile by shopping for super foods that rev up your metabolism and make you as healthy and as fit as ever. Florence Aguilar – A registered nurse working for NaturalTongkatali.com, is an avid health writer who keeps herself abreast of the latest research and studies on Tongkat Ali Extract and Health Topics. He believes in the benefits of continued learning and aims to inspire and make the world a better place for both men and women through her writings.